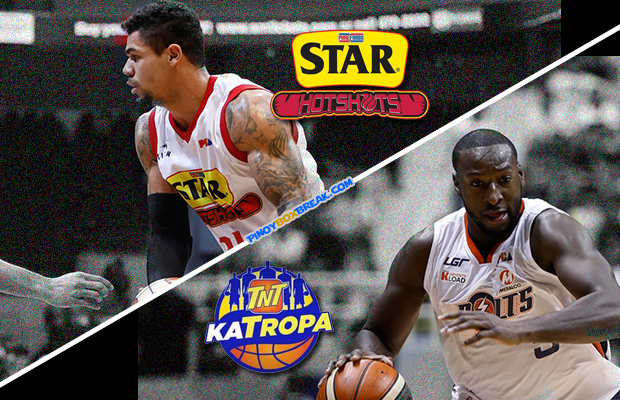 The Star Hotshots is scheduled for a head-to-head Semi-Finals game against the Meralco Bolts at 7:00 P.M. on October 5, 2017 live from the Smart Araneta Coliseum. The Bolts is on its way for a clean series sweep and the first team this conference to take a seat going to the 2017 PBA Governors’ Cup Finals while the Hotshots will try to make one victory to keep its championship hopes alive. Despite of having internal commotion within the Meralco Bolts organization involving Kelly Nabong and Jimmy Alapag, that didn’t distract the majority of the team as they whipped Star in their Game 2 encounter. The Bolts took advantage of Paul Lee injury as well as the struggles of Hotshots import Kris Acox delivering points to his team. Although leading 2-0 and momentum is on their side, coach Norman Black still cautious of what Star Hotshots can bring tonight. “We will just give our best to finish it in Game Three. But Star is more than capable of bouncing back so we have to be ready mentally and physically,” said Black. Ranidel de Ocampo who was acquired by the Bolts before the playoff started gave the needed results for his new ball-club. De Ocampo socred his best scoring performance as a Meralco player as he dropped 18 points where he converted 3-of-5 from three-point arc. With Paul Lee, Jio Jalalon, Mark Barroca and Peter Jun Simon unable to find their shooting strokes, coach Chito Victolero inserted Mon Abundo who sparked Hotshots late mini-rally late in the fourth. Mon Abundo the seventh round 51st overall pick of Blackwater Elite back in the 2015 draft contributed 14 points. “We still have a chance but everybody needs to step up and we have to have the proper mindset,” said Victolero.